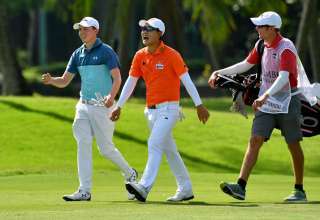 Young Singaporean Braydon Lee came close to upstaging world number seven Adam Scott, defending champion Younghan Song and Japan Tour number one Yuta Ikeda in the groundbreaking “Beat the Pro” competition at the SMBC Singapore Open on Friday. 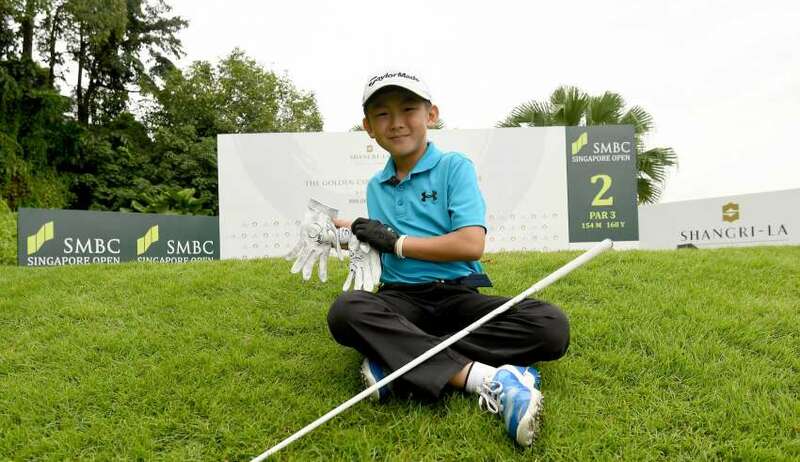 Nine-year-old Lee, a handy 12.7 handicapper, was challenged to hit nearer the pin than the illustrious trio at the par-three, 172-yard second hole on The Serapong Course at Sentosa Golf Club. 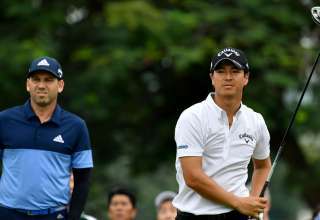 With the pros surrounding the pin with their tee shots it was a big ask but the seemingly nerveless Lee struck his wood into the heart of the green and it just ran out of pace about 20 foot from the hole. 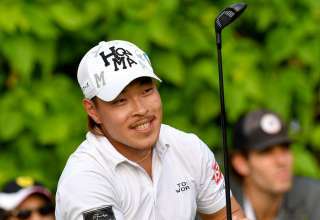 Lee was rewarded for his efforts with a signed glove from Scott and a glove and ball from Song and Ikeda. “That was a fantastic shot – it is 20 foot away. He is one to look out for in the future. 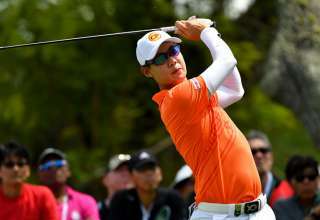 Good swing, good fundamentals,” was the immediate analysis from the former professional. Lee took it all in his stride and looked pleased with his new-found fame. “At least, I have experienced playing with the pros,” he said. 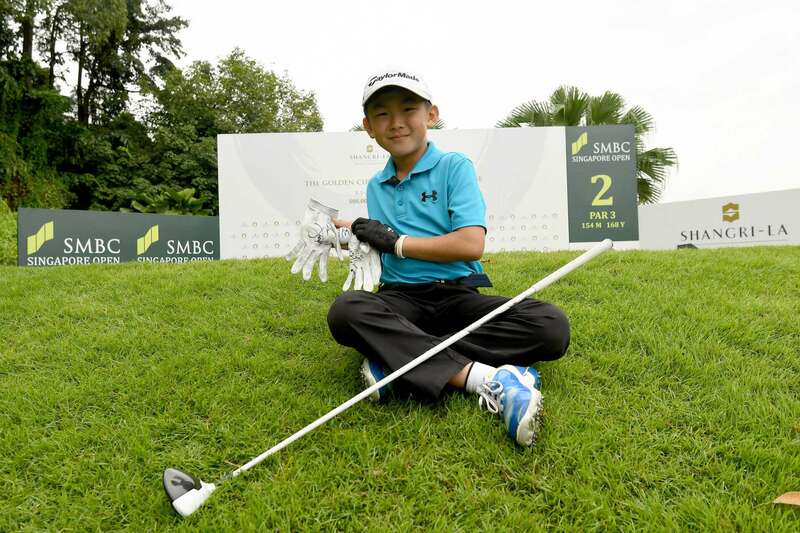 He was one of several amateurs of different ages and ability who tested themselves against the star players in the “Beat the Pro” contest during the opening two rounds.They were chosen to take part after sending the organisers videos of their swing.